HERE IS WERE YOU GET TO BUY YOUR FAVORITE THINGS, WALLABY FRIENDS. 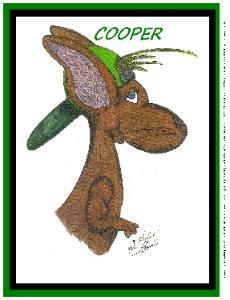 MEMBERSHIP CARDS, PEN-PAL PROGRAMS, OFFICIAL WALLABY GEAR CLOTHING & LOADS OF OTHER MERCHANDISE. ALL OF OUR CHARACTERS IMAGES ARE CLEAR & HAND-DRAWN BY OUR OWNER. PRICES ARE IN $USD & ALL INCLUSIVE OF SHIPPING, HANDLING COSTS & TAXES (IF APPLICABLE). Complete attached ORDER FORM, submit with full payment and product/s will be mailed to shipping address on ORDER FORM. Made of stain-resistant high-density foam. 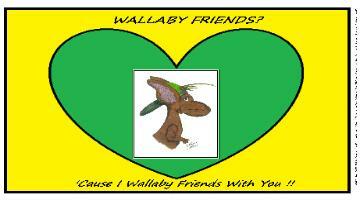 Measures 8¼" x 9⅛"
Let Wallaby Friends Help make it an Occasion to remember. 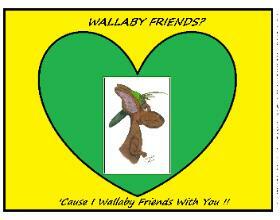 BRINGING YOU EVEN MORE COOL WALLABY FRIENDS STUFF ! ! ! ! BE SURE TO KEEP CHECKING FOR NEW OFFICIAL WALLABY FRIEND MERCHANDISE AS "BY CRIKEY"
GREAT FOR LAST MINUTE GIFT IDEAS, STOCKING STUFFERS OR JUST BECAUSE. 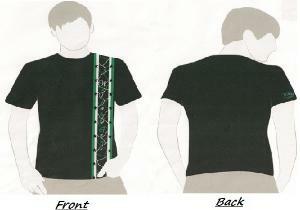 THIS PART BELOW IS UNDER CONSTRUCTION STILL, PLEASE BE PATIENT AS WE WORK OUT THE KINKS. 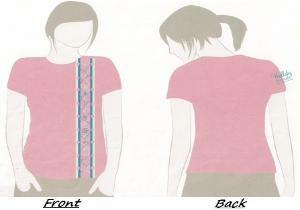 Additional cost for customizing with your own address on them will be applied. 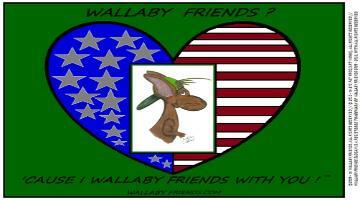 Display all your favorite Wallaby Friends character photos in a collage print! 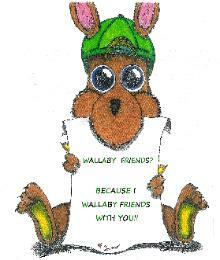 Before purchasing an Official Wallaby Friends Membership Card, you must fill in the required registration form, so we can address the card properly. 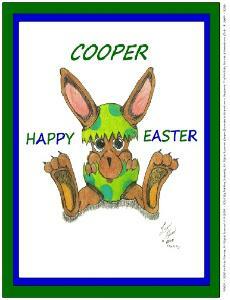 Hand Drawn Character w/ combined Computer Graphics. "Wallaby Friends?" " 'Cause I Wallaby Friends With You!"